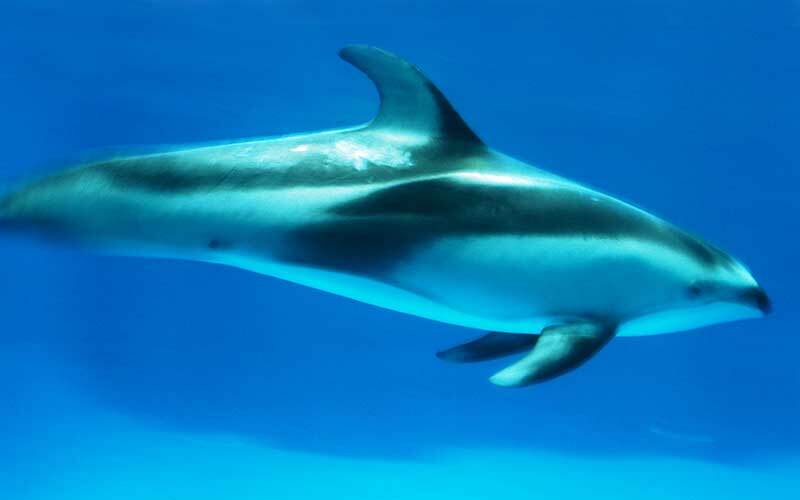 Dolphins live in saltwater but they can also live in freshwater locations. Only a handful of the species though are known to thrive in freshwater regions. They tend to stick to the shallow areas of the water found along the continental shelves. The overall anatomy of the dolphin is very detailed, and designed well for them to survive in the water. Dolphins make a sound that travels quickly through water. This sound is bounced back and the information decoded in the Dolphin Melon. They have a vocabulary of danger sounds, food sounds, and seeking sounds, and sometimes put these sounds together in a reasonably complex fashion. Studies show that dolphins have excellent hearing as well. They are able to hear frequencies that are least 10 times what the best adult hearing can offer. There are a number of adaptations that dolphins developed during evolution living in water instead of on land. The different sounds are made in different ways. Unlike any other animal besides humans, dolphins exhibit a great tendency to take turns when vocalizing.